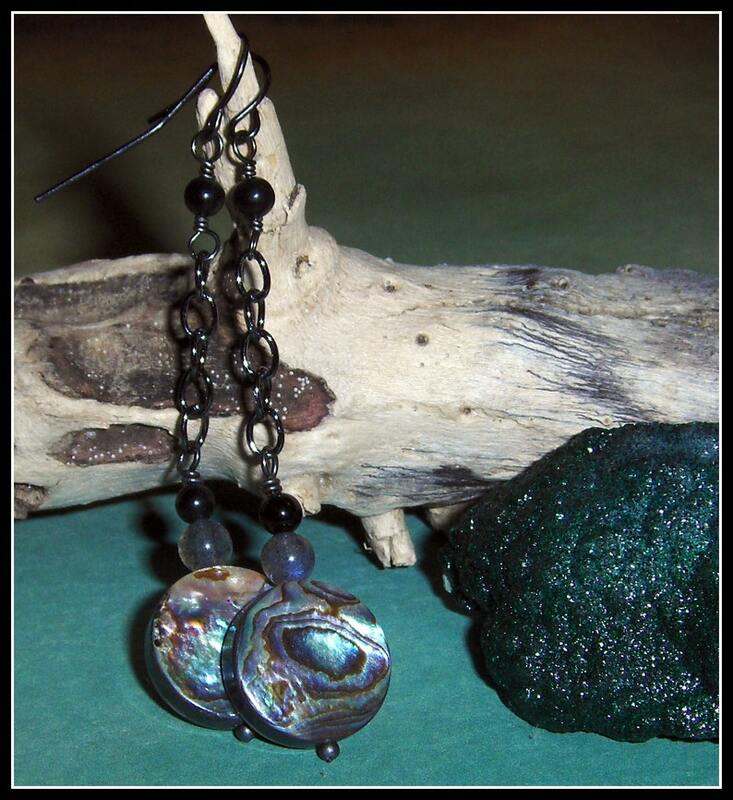 These earrings are almost 3" long & the abalone pieces are around a half inch. 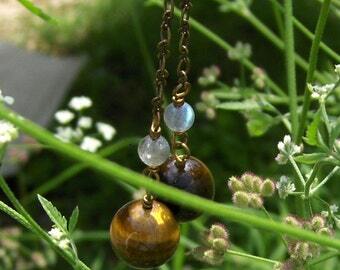 The beads just above the shells are labradorite & then two tiny pieces of black agate on each. 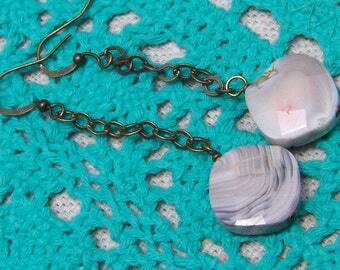 Of course, these are hand made & one of a kind. I make everything in my shop & you'll never see anyone else wearing the same thing.